People tend to think of graffiti as being necessarily illegal. While that may be the case much of the time, not all guerilla art breaks the law. Many urban artists manage to be creatively but legally subversive. Here are some engaging types and works of visual and performance art that have prompted critical thought or stirred up controversy, all without getting the artist(s) in trouble. 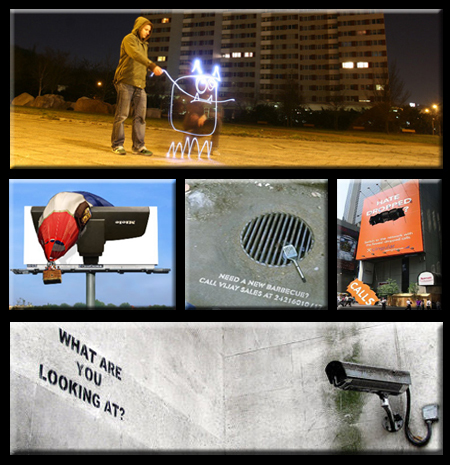 Reverse Graffiti is a classic example of urban art that confounds authorities. In most cases, the police are helpless, unable to fine or arrest someone for cleaning public surfaces. Shown above is the wall work of Symbolix, also known for creative guerilla marketing, as well as the dirty car art of Scott Wade. Flash Mobs form and dissipate as a type of spontaneous-but-organized urban performance art. Groups of friends (or strangers) coordinate their efforts online and gather at a pre-defined time in a public space – seemingly out of nowhere. 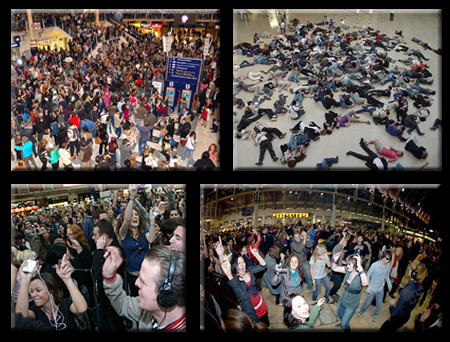 Flash mobs can be planned to do almost anything, from hijacking a furniture store to throwing a train-station dance party. 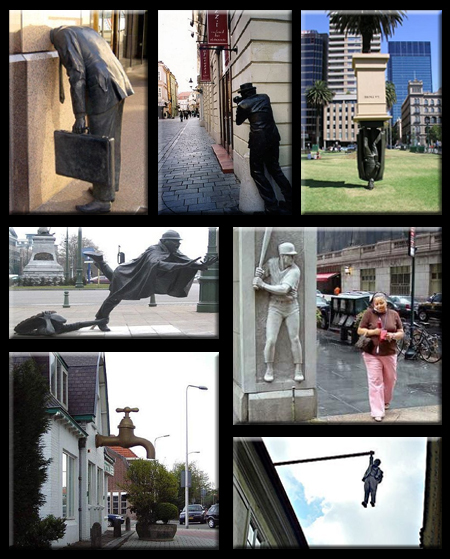 City Statues may seem like the last form of art that could possibly be subversive. However, these statues are far from the ordinary tributes to statesmen or national heroes. Each of these is designed to be interactive, satirical or engaging beyond merely historical references. Other Kinds of guerilla communication from glowstick graffiti to guerilla marketing are also legal – as they either leave no trace or even get official approval. The work of infamous street artist Banksy is so popular that, despite being technically illegal, people have been arrested for defacing his graffiti. 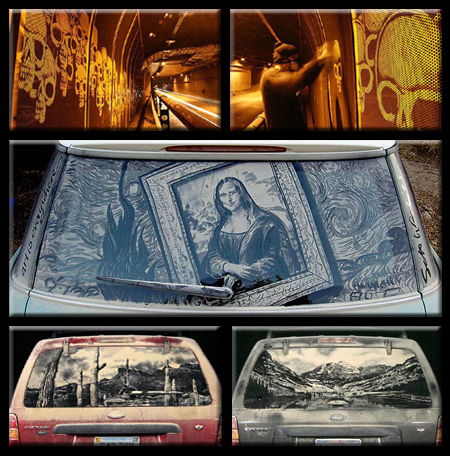 Be sure to check out these other amazing works of urban guerilla street art.